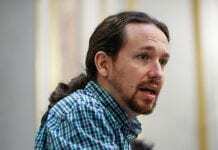 PABLO Iglesias has put residents’ evictions and healthcare at the top of his list of most pressing social issues ahead of coalition talks. 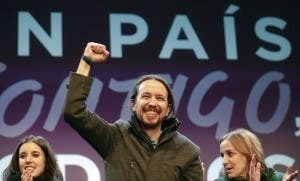 The Podemos leader, whose party won 69 seats in Sunday’s general election, is set for talks with Socialist PSOE leader Pedro Sanchez and PP leader Mariano Rajoy. The 36-year-old secretary general also referred to his party as ‘the only political strength that can guarantee Spain’s unity’. Iglesias said: “We haven’t arrived in parliament to play a game,” said Iglesias. “You have to talk about Spain. You have to talk about the problems of Spaniards. Iglesias wants to ban the forced evictions of families who have no alternative accommodation. He is also calling for accommodation to be made available to victims of domestic violence within 30 days and an end to gas and electricity cuts in houses where residents are unable to pay their bills. As well as this, he is calling for an end to patients’ co-payments on prescription charges. 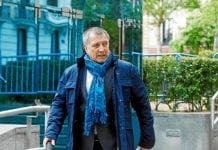 The Podemos general secretary also said he was ready to ‘talk with everyone’, including the PSOE’s Andalucian leader Susana Diaz. “It seems the PSOE are not sure who is in charge,” said Iglesias.